Are you a cancer survivor or assisting a family member with cancer? Are you an educator, health professional or wellness coach and would like to maximize your impact as a healer? If you have an interest in cancer or have been touched by cancer in any way, our 100% online training is for you! 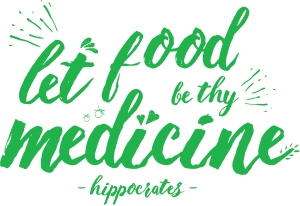 We teach you how to support cancer clients using Food As Medicine at any stage in their cancer journey. Hello Everyone. I am Paula Diana, founder of Diet For Living School with my husband Joseph McKibbon. I am a 14 year cancer survivor. I attribute the success of my healing to detoxification with Vegan Raw Plant Based Foods, Lifestyle Change and Divine Grace. In this training I share with you everything I have learned about using Natural Nutrition to fight this disease and win! What Is A Holistic Cancer Coach? There is an evolutionary shift taking place in the world of healing. Nutritional Science researchers have made so many important discoveries in the past five years. The latest data now shows that genetics or bad luck play a very small role in why one out of two Americans will contract cancer in their lifetime. Researchers have concluded that 90% of all cancers can be attributed to the nutrient deficient, chemical laden Western diet in conjunction with lifestyle choices and environmental factors. For years pioneering natural nutrition healers have known that a period of deep detoxification and lifestyle change using Living Plant-based foods has the ability to reverse many of the diseases the population now suffers. A return to foods closer to Nature allows the body to cleanse, repair and rebuild simultaneously: a three prong approach. The body is a self-healing and self-rejuvenating organism if given the the proper tools and environment. Cleansing the body with nutrient dense, fiber rich foods and fresh extracted juices boosts the immune system while allowing toxins to leave the body gently over time. With our training you will learn to teach your clients an action-step oriented ‘Lifestyle Change Program’. We teach you everything you need to know to enable your client to become an empowered participant in this whole-body approach to healing. Detoxing with Vegan Raw Living Foods and Superfoods to restore order in the body and heal degenerative disease was first taught by the great healers Dr. Max Gerson and Dr Ann Wigmore. Their pioneering discoveries are used at CHIPSA Hospital and in six major cleansing centers in the United States that teach the value of using food as medicine.. Their groundbreaking discoveries are the foundations from which we teach. 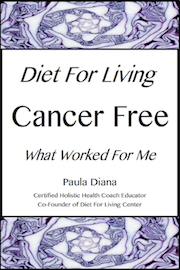 One week before class begins you will receive your ‘Holistic Cancer Coach Workbook’ to begin study. The most groundbreaking discoveries are now pointing to compounds in plants to prevent, and allow the body to heal from, cancer. There are many natural foods that have the ability to target and destroy cancer cells and cancer causing cells. At Diet For Living School we teach a powerful healing system using fresh pressed juices, potent live wheatgrass chlorophyll, unpasteurized fermented foods, sprouts, green leafy vegetables, fresh Vegan Raw nut milks and sea vegetables, all made into delicious and easy to prepare meals. These clean foods are then organized into a daily Phase One Cleanse Protocol that anyone can practice with ease. In this part of the Program you learn to ‘Maximize Your Impact’ as a holistic healer. You receive specialized knowledge, skills and strategies that directly impact clients with cancer or cancer survivors who are ready to transform their bodies and their lives. We teach you how to organize any home so that your clients can practice a detox cleansing program daily. Learn how to form an educational partnership with your client as you teach, train and lend guidance, motivation, support and encouragement…become a gateway to their fullest human potential! What you learn with us will help you and your client’s day run smoothly and create a rewarding journey toward their better health. 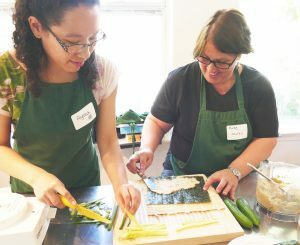 The class includes a hands on Vegan Raw Sushi Lunch we make and eat together. If you long to be an amazing luminary that transforms others…you will love this training! Become A GateWay To Your Client’s Fullest Human Potential! This Exciting Two Month Training is $950. Next Class Starts In Spring 2019. Schedule To Be Announced! Spaces for this training are limited and fill up quickly. A deposit of $300 holds your place in class. If you have any questions contact us by email or call us at 505.243.1157.